No matter what your skin type, one of the ingredients I recommend avoiding is silicone. Or silicones, I should say—because these slippery ingredients go under dozens of different names, with new compounds being developed all the time. 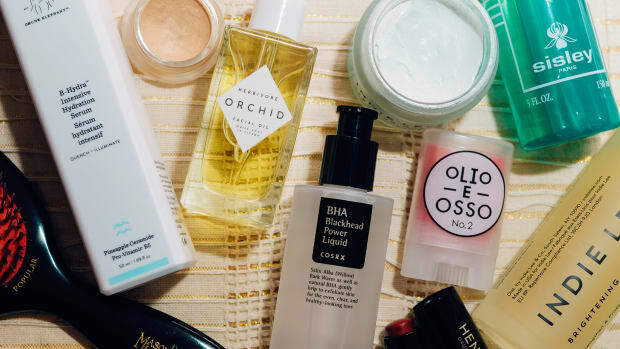 That makes them hard to identify and even harder to avoid, as they&apos;ve become the new normal in beauty formulations, from makeup to skincare to haircare. Now, I don&apos;t think silicone-based eyeliners, mascaras or even lip colours are a big deal. But spreading silicones over the rest of your face may not be the best idea for a great complexion. Even silicone-based hair products can be bad news, if trace amounts are left on your skin. Why beauty companies are really using silicones. 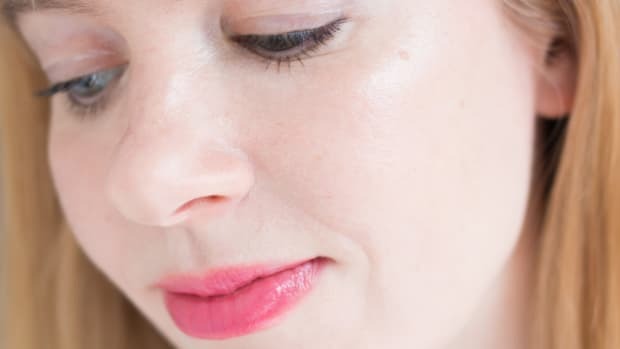 How silicones can affect your skin. How to identify silicones on ingredient labels. Where to consider eliminating silicones from your beauty routine. The silicones in your makeup could be dehydrating and clogging your skin. They&apos;re safe (sort of): Silicones are generally considered a low hazard for humans. However, according to Health Canada, some types of silicones (siloxanes) may be harmful to the environment and its biological diversity. They&apos;re smoothing: Silicones give products a silky, spreadable, luxurious texture. 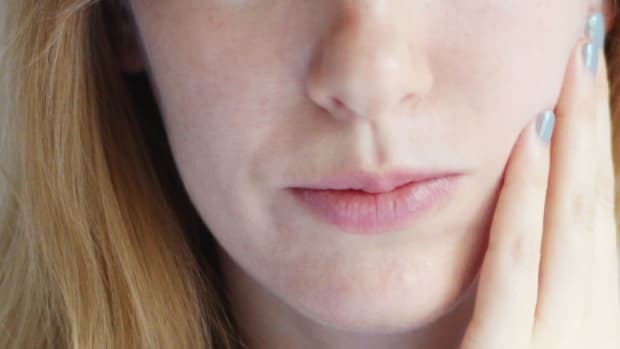 They fill in crevices to make skin look and feel smoother—which makes you think the product is "working," even though it&apos;s only a temporary, surface effect. They&apos;re water-resistant: Hydrophobic silicones form a seal over the skin, which allows companies to claim longer-lasting (24- to 48-hour) "hydration" benefits. The same ingredient family is behind sweat-resistant sunscreens, and most makeup-setting sprays. Moisturizers claiming "48-hour hydration" benefits are usually loaded with silicones. They&apos;re cheap: Let&apos;s get real. This is the main reason why silicones are everywhere! 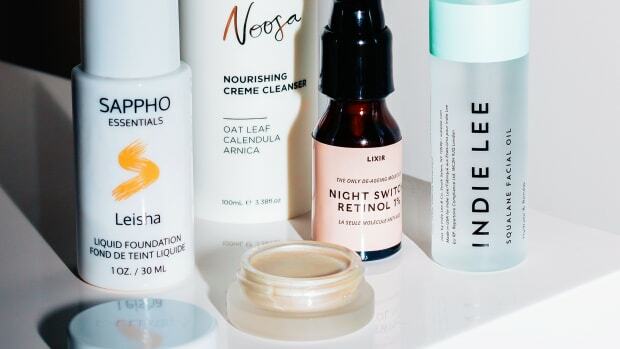 Beauty companies care more about the bottom line than actually helping your skin. They&apos;d rather use cheap, man-made plastics as fillers than formulate with more expensive raw materials that may have a shorter shelf life. But don&apos;t assume this means only drugstore brands use silicones—they&apos;re to be found in even the priciest lines, which is particularly outrageous. Silicone-based moisturizers form a film on your skin&apos;s surface. 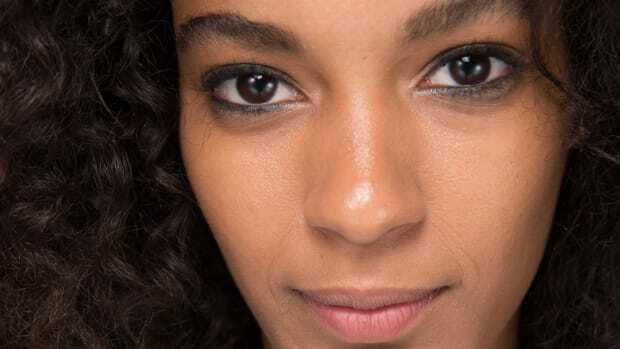 Makeup primers with silicones are a culprit behind congested skin. Prolonged exposure to oil, dead skin and bacteria underneath the semi-occlusive seal of silicones can lead to increased breakouts. 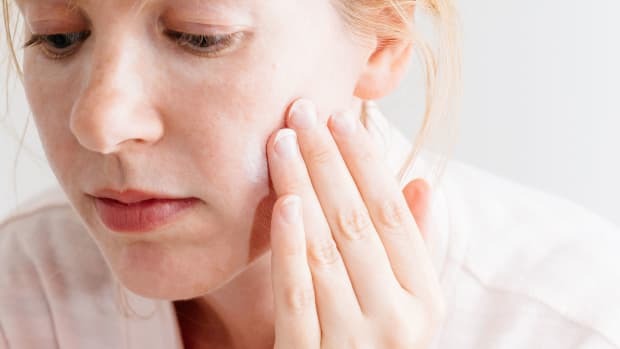 If you are acne-prone, I consider silicones among the most important ingredients to avoid—maybe even THE most important. Silicones can also be a culprit in under-the-skin clogs (a.k.a. congestion), even if you don&apos;t develop full-blown acne. Silicones could also be clogging your pores, but manifesting as dryness and dullness instead of acne. Not only do silicones prevent additional moisture from getting in, but the impacted materials can dehydrate your pores and throw your skin&apos;s natural regulatory processes off-balance. The result? Your skin becomes less able to shed dead layers and hydrate itself. Most moisturizers are primarily comprised of water, glycerin... and silicone. Our skin renews itself every 28 days, whereby old cells are sloughed off and new cells make their way up to the surface. Silicones inhibit this process by slowing down the production of new cells and keeping dead cells stuck longer. Impaired cell renewal could decelerate the improvement of conditions such as pigmentation, redness, fine lines and scarring! This micellar water is oil-, fragrance-, alcohol- and soap-free, but it&apos;s also high in silicone. If you are layering products (which most of us do! ), silicones can prevent them from doing their jobs properly. Let&apos;s say you use a silicone-based micellar water or serum. Any moisturizers or treatments you put on next would have a diminished ability to penetrate, rendering them less effective. Heck, I even suspect that silicones probably impede the absorption of beneficial ingredients within the same formula! The most common silicone, dimethicone, is extremely heavy and leaves a coating on the skin unless it is carefully removed. This is often why people see such a difference from nightly double cleansing, because it&apos;s properly removing the silicones from your skin—a single pass with a regular face wash simply isn&apos;t enough! The same goes for silicone hair conditioners. Even if you&apos;ve rinsed with water, they can leave behind residue that triggers back and hairline acne. 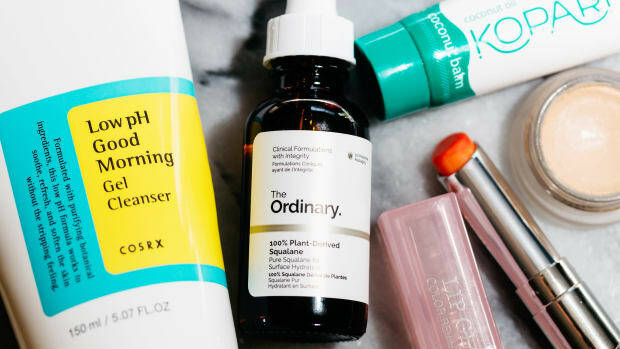 When you use skincare products heavy in silicones, you&apos;re not actually hydrating or nourishing your skin, no matter what the label may claim—it&apos;s simply a short-term smoothing. As beauty consumers, we deserve higher-quality ingredients that support skin health. Think: botanicals like aloe vera, and safe butters and oils such as shea and jojoba, for starters. The vast majority of foundations on the market are high in silicone. -Cones: For example, amodimethicone, cyclomethicone, dimethicone, methicone, trimethicone, trimethylsilylamodimethicone. -Silanes: For example, bis-PEG-18 methyl ether dimethyl silane, triethoxycaprylylsilane, triethoxycaprylylsilane crosspolymer. -Siloxanes: For example, cyclopentasiloxane, polydimethylsiloxane, siloxane. Ingredients such as cyclopentasiloxane are still silicones, even though they don&apos;t end in "-cone." Hydrogenated polyisobutene is a silicone oil. For truly healthy skin, consider eliminating silicones from your beauty routine. I hope you&apos;ll agree that your skin is better off without silicones. Do I think it&apos;s a problem to use silicone-based cosmetics for special occasions? No. But for a day to day basis, I&apos;d really encourage you to seek out healthier alternatives, especially with your moisturizers and foundations. Silicone-Free Moisturizer: LXMI Crème du Nil Pore-Refining Moisture Veil, reviewed here. Silicone-Free Foundation: Sappho New Paradigm Essential Foundation, reviewed here. Silicone-Free Concealer: RMS Beauty "Un" Cover-Up, reviewed here. Silicone-Free Primer: REN Perfect Canvas Silicone Free Skin Finishing Serum. Silicone-Free Hair Mask: Phyto Phytoelixir Intense Nutrition Mask, reviewed here. What&apos;s been your experience with silicones? I&apos;d love to hear your thoughts!